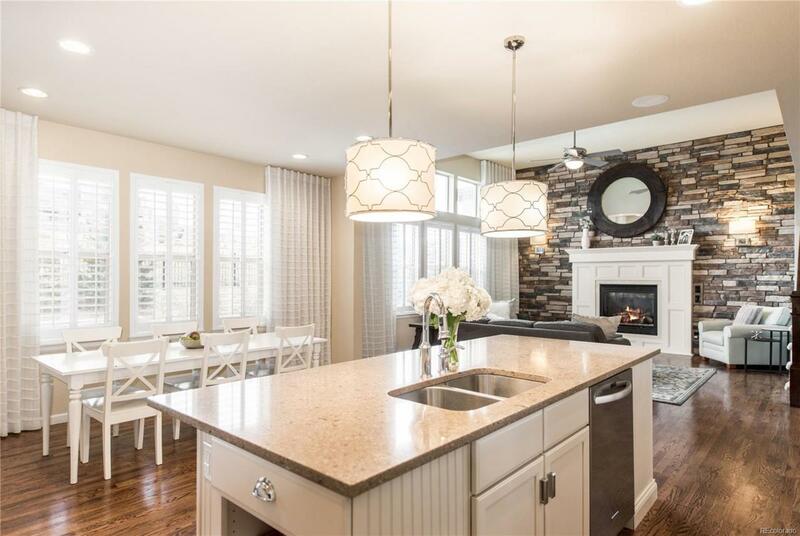 Beautifully finished former model in heart of desirable Solterra. Fabulous open floorplan w/ hardwood floors & plantation shutters features a great room w/ soaring ceilings & windows that flood the space w/ natural light. 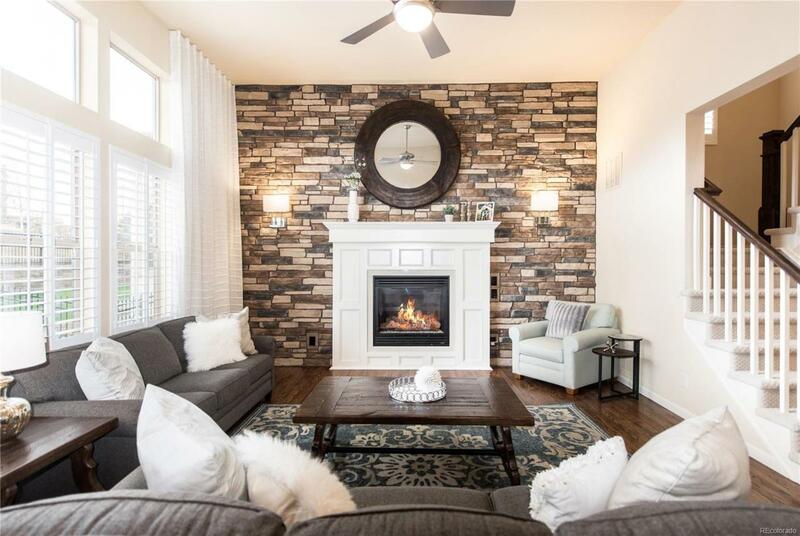 Showcased by custom trim work & a dramatic rock wall, fireplace is a show stopper & adds to the allure of this beautiful room.Crisp white kitchen w/ slab granite countertops boasts large island, 5 burner gas cooktop, stainless steel appliances & generous walk-in pantry. French doors to quiet study w/wainscoting. Master suite w/ spa-like 5 piece bath & large walk-in closet w/door to laundry room. 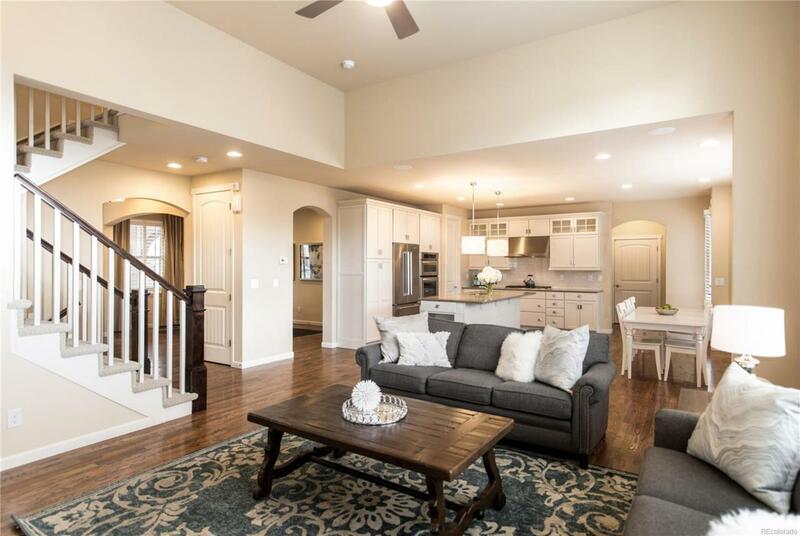 3 large secondary beds & two additional baths on upper level. Ideally located backing to a greenbelt for added privacy! Covered patio and professionally landscaped yard. Enjoy all of the amenities of Solterra w/ clubhouse & pool. 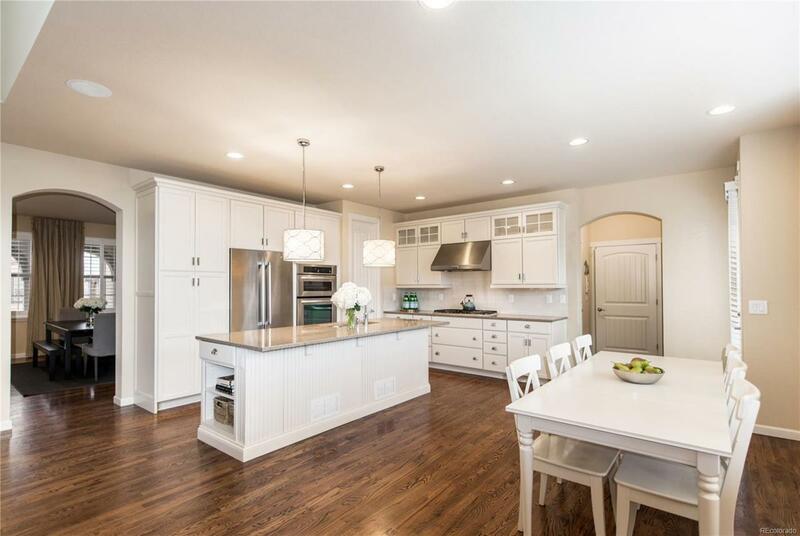 Located near Red Rocks Amphitheater & many hiking & biking trails, this STUNNING home is the perfect opportunity to move in & enjoy the CO lifestyle.